Provide each guest an entrance-row seat as the bride strolls the spiral aisle! Learn more about this idea on the source. See this idea with ottoman seats. 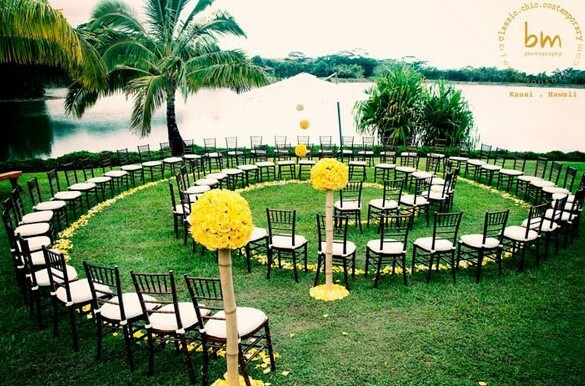 See this idea with the wedding party completing the spiral.